This will work on any type of freshwater or saltwater tank. 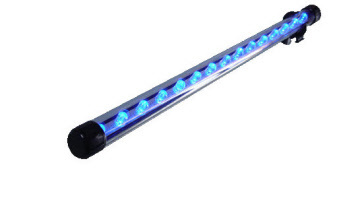 This is a great light and can be put totally underwater. Easy to illuminate your fish corals and live rock and get that beautiful blue nighttime LED glow. With the Pacifica LED Lights, keeping your corals happy has never been easier. 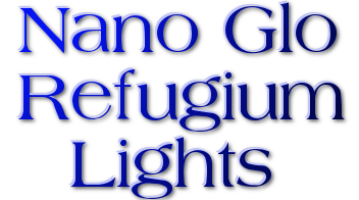 NANO-GLO LED by JBJ brings light into your aquarium, Nano Cube or “In-Tank” Refugium. Each style of the Trinity HO lights comes in 24' and 36' so a great match for many saltwater tanks and freshwater aquariums out there. All JBJ lighting fixtures come with the bulbs and stand in the box so you do not have to incur any additional expenses. T5HO-48 Trinity light, the largest size, is no longer available. JBJ's TRINITY™ High Output T5 Illumination Systems offer 24 hour light cycles. All models include 14K Daylights, 420nm Actinic, 460nm Actinic, and 1 Watt Nite-Vu LED moonlights housed in a sleek powder coated finish.